The Centre has cleared the name of Senior Advocate Indu Malhotra as a Judge Of Supreme Court of India. This is for the first time a woman lawyer is directly appointed from the Bar as a Judge in the apex Court. She will be sworn in as Judge on Friday. 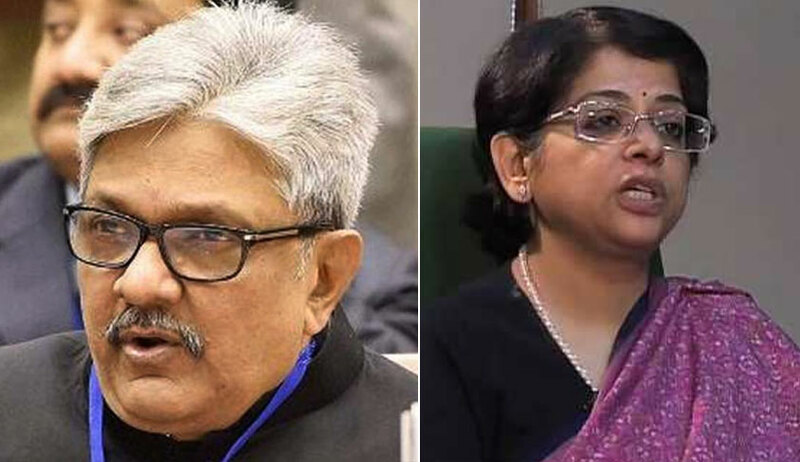 The Supreme Court Collegium has recommended the names of Senior Advocate Indu Malhotra and Uttarakhand Chief Justice KM Joseph for appointment as Supreme Court Judges three months ago. Justice Joseph's name has been reportedly withheld by the Government. The Five Judge Collegium comprising Chief Justice Dipak Misra and Justices Chelameswar, Ranjan Gogoi, Madan B Lokur and Kurian Joseph has unanimously recommended the two names. At present the Supreme Court has only one woman Judge- Justice R.Banumathi. Only six women judges have made it to the Supreme Court since Independence. In the first 39 years of the Supreme Court, no woman was appointed to it. In 1989, Justice Fathima Beevi was appointed as the first woman judge of the Supreme Court. Justice Sujatha Manohar, Justice Ruma Pal, Justice Gyan Sudha Misra, Justice Ranjana Desai are the other women judges appointed to the apex court.